Grapevine, Tex., Lodge No. 2483 used its Promise Grant to hold a Christmas party with the police department. Word spread through the grapevine and more than 400 local families attended! Elks and police also donated toys, stuffed animals and bicycles to children in need. 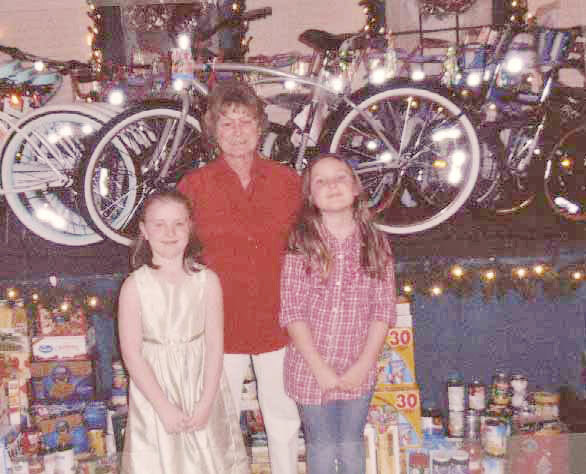 Above, Lodge Secretary Janet Rose poses with her grandchildren in front of the food and toys Lodge members collected.